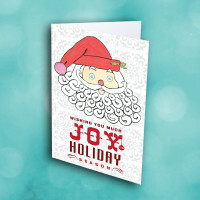 A wonderfully artistic Christmas card to share the merriness of the holiday season. 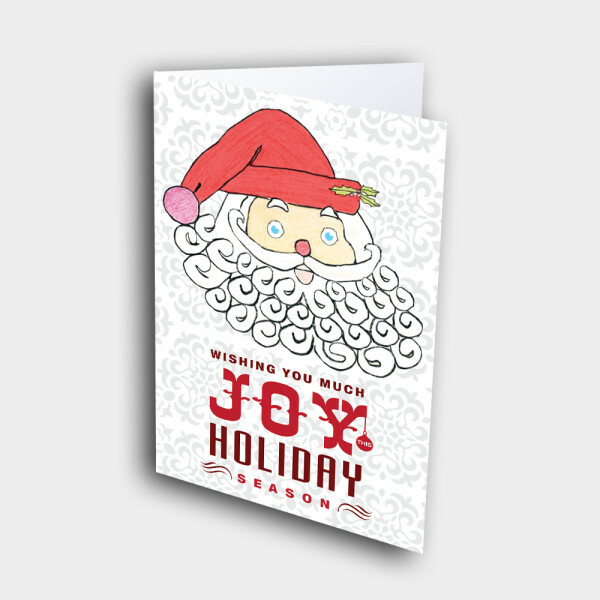 Send a Santa Christmas card that is bursting with holiday cheer. 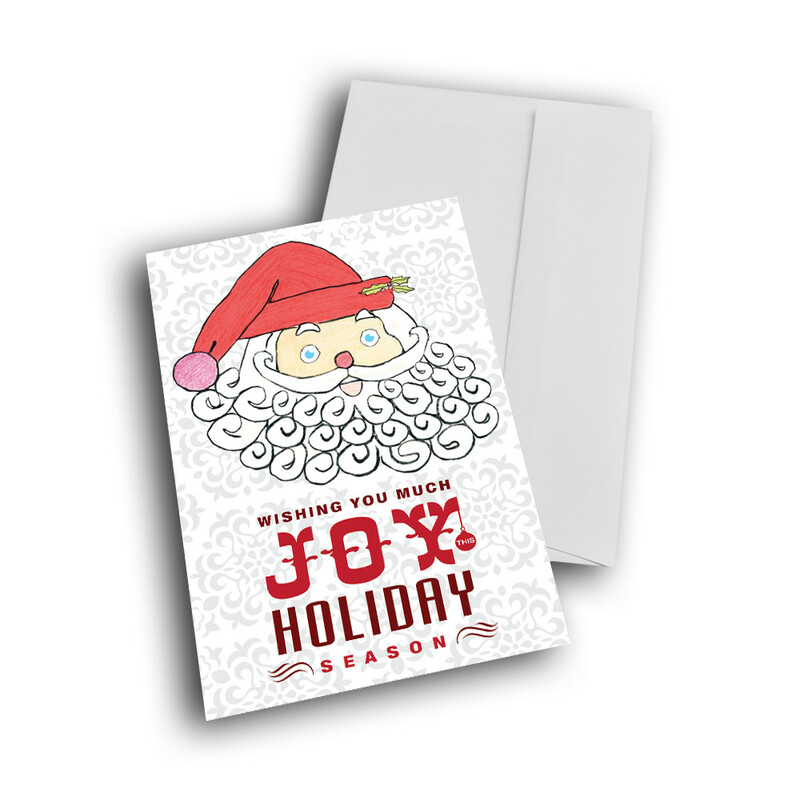 A grinning Santa Claus looks out at you from the front, against a beautifully detailled, patterned background. 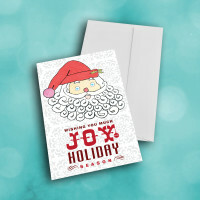 The holiday greeting is artistically arranged underneath. 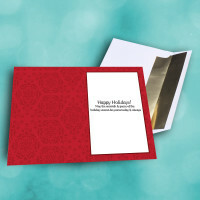 Inside, the same background pattern is set against a deep-red, along with a warm message. 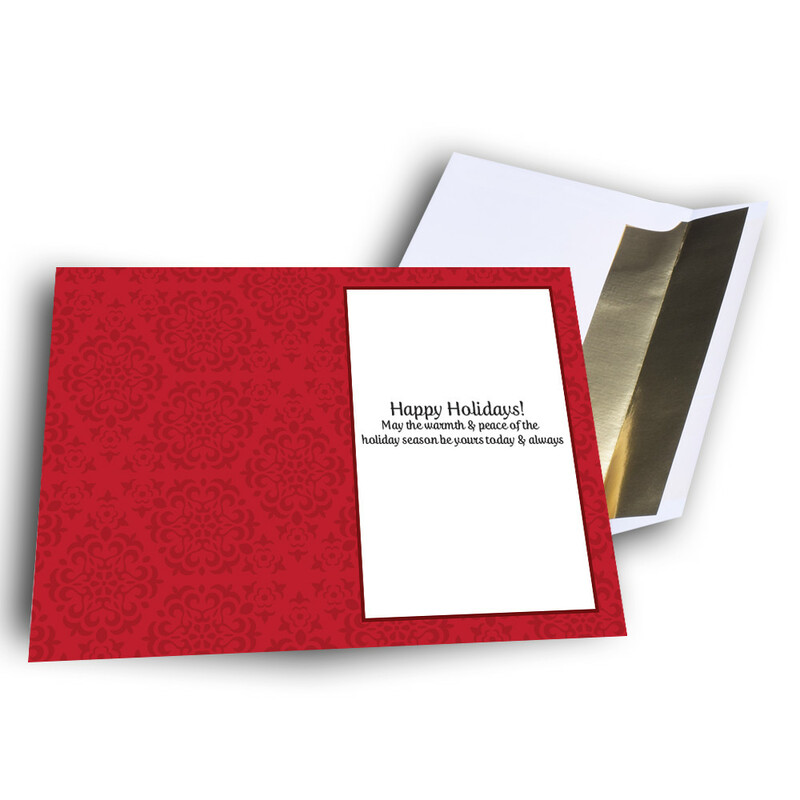 Customize this message to give the card your personal touch.